Filing a car insurance claim can be an unnerving task. It can make you especially uneasy if it is your first claim and you do not know what to expect. A functioning car is a necessity for most of us to live out our daily lives. Whether your car is repaired quickly plays a large role in whether you are satisfied with your insurance carrier. So, how long should a car insurance claim take? Insurance claims are not dependent on just one person. You need to be available to answer questions. The claims adjusters need to do their job. The body shop needs to be available to work with both you and the claims adjuster. There is a whole team of people that needs to work together to get the job done. If one of the players is not cooperating, the whole process can get delayed. Without proper teamwork, a claim can really get dragged out. Before you start to panic about filing a claim, first determine if you should do so in the first place. If anyone was injured or it is unclear whose fault the damage was, you should absolutely file an insurance claim. Some insurance policies also stipulate that you must notify them of potential claims. However, if you and your vehicle are the only things involved in the accident, you should get a repair estimate before you file your claim -- or it could cost you in the long run. If the cost of the repair is less than your deductible, it may be easier to pay out of pocket than to file a claim. Additionally, some policies raise the rates for filing a claim, so make sure you know the specifics of your particular policy. • Gather your evidence. Make sure to take photos of your vehicle, any injuries, and the scene of the accident. Head to a physician for a physical evaluation if you were injured. This evidence will help ensure no one tries to distort the facts of the incident. • Know the time limit. Different states and policies have different deadlines for filing a claim after an accident or incident. Know yours and make sure you file before the deadline. • If another driver is involved, file a police report. If you do not, the other party might try to pin the blame onto you. • Don’t admit guilt -- let the insurance company and police decide who is responsible. Your insurance company will act as your (and their) advocate, so let them do their job! Roadside Assistance Claim: Many insurance carriers make towing claims extremely easy to file and get reimbursed. Some will take care of the claim without having you pay anything out of pocket. If you do need to be reimbursed, it will probably take 5 to 8 business days to get a check in the mail once you turn in your receipt. Glass Claim: Glass claims can also be handled quickly. Once the claim is filed you can probably get scheduled for repair with a glass company the same day or within the week. If you require original equipment manufacturer (OEM) glass, it can take a little longer for the glass company to order and receive the glass. The actual insurance claim filing should be taken care of very quickly. Physical Damage: The time it takes to repair other physical damages to your vehicle depends on the complexity of the claim filed. It is standard to receive your first contact with the insurance adjuster within one to three days of filing the claim. If an adjuster needs to look at the damage, it can take a couple more days. Using an insurance carrier approved body shop can speed up the process. Expect a cut and dry physical damage claim to take one to two weeks to get finalized. This includes coordinating with a body shop and getting scheduled for repair. If your car is drivable, you can drive it until the date of repair. Total Loss Claim: Agreeing on a payout amount can sometimes be difficult. A lot of paperwork is involved in a total loss claim. Getting the proper signatures in all the right places can also take time. It would not be shocking to see a total loss claim take 30 days to finalize. ·Medical Claim: Injury claims usually take the longest to process. Once you fill out the initial paperwork it should be out of your hands; the hospital and doctor’s office should coordinate directly with your car insurance personal injury claim adjuster. If your health insurer paid the claim first, they'll typically in turn file their own claim with the car insurance company of the at-fault driver to seek reimbursement. 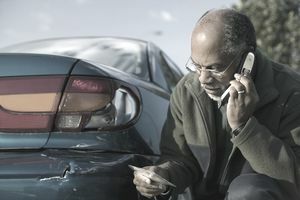 ·Poor Communication: Both the claims adjuster and the claimant need to be available. Not answering the phone is a sure-fire way to delay a claim. It is a great idea to verify all of your contact information at the time of filing a claim. Double check your address and phone number on file. ·Not Happy With Your Coverage: Thought you had OEM coverage but your policy says you do not? Coverage discrepancies can certainly extend the claim process. · Not Happy with the Body Shop Repair: Don't like the paint job on your repair? Does something seem not right? Rushing through to get your car back is not a good idea. If you are not happy with your repair, it is best to point it out immediately to get it resolved. ·Short on Cash: You really can't get your car insurance claim handled quickly when you do not have the cash for the deductible. Deductibles need to be paid at the time of repair. Plan on holding off on the repairs if you do not have the cash to get it done. Lots of problems can occur during the claims process. If major problems arise, talk with your insurance agent. Agents often do not deal directly with a claim, but they are a great resource if there is a problem. An agent can contact your claim representative or even the body shop on your behalf to help ensure the process goes as smooth as possible. Sometimes, no matter what you do, the claims process takes longer than you would like. The best thing you can do is have a backup plan. ·Get a Rental Car: It may not be ideal, but sometimes you have to get a rental car so you can get to work and pick up the kids from school. Most insurers will cover the cost of a rental after an accident, but it not, make sure you select the proper coverage to protect the rental car while you are driving it. ·Borrow a Car: The most cost effective option is to borrow a friend or family member's car. Coverage would be automatically extended to you; however, remember their deductibles will apply if you damage the vehicle. Paying for the deductible would be the right thing to do if a loss occurs while you are borrowing it.